Unique place for seminars, conferences, cultural, social or corporate events. Waterworks museum is located 10 minutes’ drive from the city center, located in the historical site of the first pumping station in Karlova Ves. 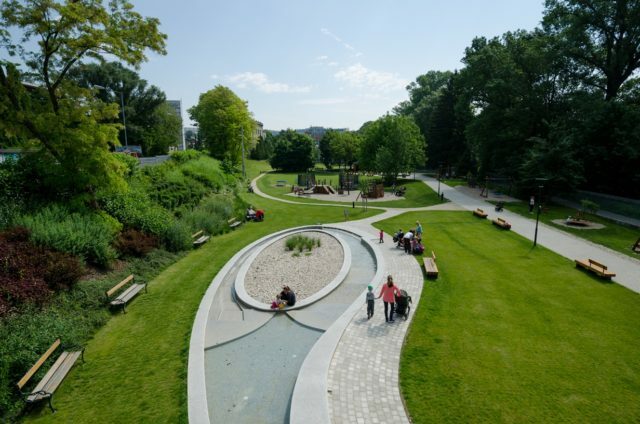 The museum was founded on 1st of November 2007 on the 120th anniversary of the first Bratislava water company. A specialized technical museum focuses on the water industry across Slovakia. The museum regularly joins various programs for the public including International Water Day in March, the Bratislava for All event and the Night of Museums and Galleries. How do you feel about high standards of design and comfort of all 231 guest rooms and suites? Located just a step away from the urban hustle and bustle, an easy 15-minute walk along the Danube River, one would find the Grand Hotel River Park, an amazing five-star hotel with its own Riverbank Restaurant which offers first class dining. Each room features wireless high-speed internet access, a multimedia TV, a minibar, and individually controlled air conditioning. For a bonus, there is a prestigious Zio Luxury spa on the 11th floor of the hotel, which offers the stunning view of the river and Slovak landscape. The hotel’s uniqueness also emphasizes a private landing for helicopters on the hotels roof and a private river pier. Waterworks Museum can host a wide range of events, from business events, conferences, banquets, car presentations, weddings and so on. The venue can be adapted to the type of event – the capacity of the museum is up to 50, 200 or 350 people, depending on the configuration of the whole space. Nearby the Waterworks museum one would find a Kontajner Riviéra, serving daily fresh and healthy food, delicious homemade cakes, Slovak coffee and a gallery, located on the second floor of the venue, promoting local culture. One might think that putting the word container in the name of the restaurant can be a bit risky, but the names goes right to the point. The building truly is built out of containers – the whole project is eco-friendly, the materials used in it are raw and natural so one would feel cozy and homey while being at the restaurant. In addition, all the furniture in the café is recycled and second hand which gives the venue a special, warm feeling. When hosting an event at the Waterworks museum one can use the city public transport, served by trams number 4, 5, 6 and 9 – be aware to exit at the transit stop »Molecova«. If you decide to hop on a bus, take number 28 or 20 and exit at the transit stop »Vodárenské múzeum«. The Waterworks Museum also offers a parking lot for its visitors, which can hold up to 10 cars. Entrance to the parking space is from the following streets and roads: Devínska cesta, Karloveská and Botanická. Previous articleAttending a conference? Extend your stay in Ljubljana! Next articleHow Do I Get The Most Out Of My Social Media Account?